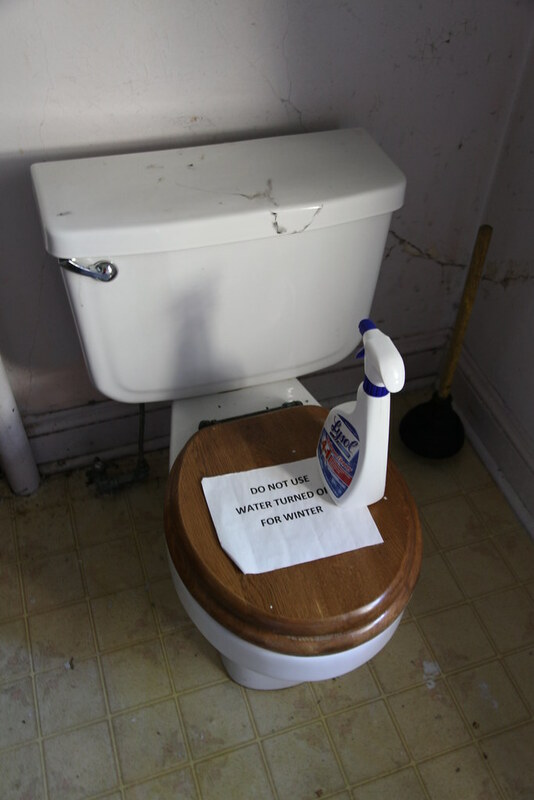 "Water turned off for winter," the sign reads. Apparently they never came to turn it back on. Interestingly, the sign was clearly printed from a computer, which suggests that at least this was printed in 1995 or later. A bottle of Lysol corroborates this recency, however, there is no shortage of cobwebs nearby suggesting that this place has been neglected for at least a few years.